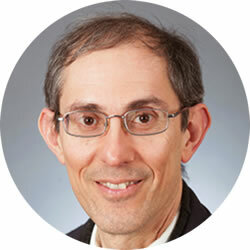 Dr Dennis Poe is a Professor of Otolaryngology at Harvard Medical School and a full-time faculty member of the Department of Otolaryngology and Communications Enhancement at Boston Children’s Hospital, where he is the incumbent recipient of the Sarah Fuller Chair in Neurotology. He studied medicine at State University of New York Upstate Medical University, trained in Otolaryngology at the University of Chicago, and did a Neurotology fellowship in Nashville, Tennessee with Michael E. Glasscock, MD III. He has spent his career in Boston, MA practicing Otology/Neurotology and Skull base surgery. He has worked to develop minimally invasive endoscopic surgical techniques and developed new procedures for Eustachian tube disorders. His research activities focus on otitis media and disorders of the Eustachian tube, specifically investigating the inflammatory basis of Eustachian tube dysfunction and conducting research on novel medical and surgical treatments. He completed a PhD in 2011 at the University of Tampere, Finland in Pathophysiology and Surgical Treatment of the Eustachian tube and did postdoctoral work with Prof. Ilmari Pyykkö, PI for the NanoEar European Union consortium on nanotechnology for targeted delivery of inner ear and middle ear therapy. He runs the International Eustachian Tube Study Group. He participated in the design of a balloon dilation device for the Eustachian tube and served as the principal investigator for a multicenter clinical trial of Balloon Dilation of the Eustachian Tube that concluded in 2016. On 16 September 2016, the FDA issued the clearance for the balloon dilation device, which represented a significant achievement as it became the first ever treatment for the Eustachian tube, medical or surgical, to be approved by the FDA. This milestone has opened the door for subsequent treatments for Eustachian tube disorders. He is presently a consultant to the American Academy of Otolaryngology Head and Neck Surgery Clinical Consensus Statement Committee on balloon dilation. He is traveling extensively to provide education about Eustachian tube disorders and treatments, including helping to introduce the balloon procedure to surgeons.